Trooper Maxwell was assisted at the scene by Metcalfe County fire and rescue. 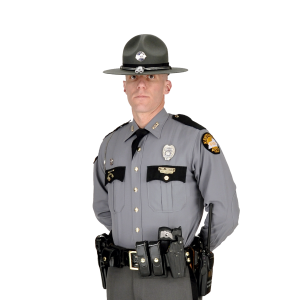 OKMetcalfe County, KY (March 21, 2019) – Trooper Robert Maxwell is investigating a single vehicle injury collision that occurred on March 20th, 2019 at approximately 10:29 AM CST on KY 218 at the Metcalfe/Green county line. Patricia Stovall, age 71 of Center, KY was operating a 2005 Nissan passenger car east bound on KY 218, when she failed to stop for an unoccupied 2015 freightliner garbage truck that was parked in the roadway and struck it in the rear end. Stovall was belted and transported by Barren/Metcalfe EMS to TJ Sampson hospital for treatment of non-life threatening injuries. Trooper Maxwell was assisted at the scene by Metcalfe County fire and rescue.